Plain & Simple...a diamond in the rough! IM very kind and sweet person , I will try anything once , am athletic and love swimming and boating and bein outside. 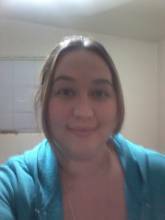 Hi am single lady with no kids looking for a lovely man who is ready and willling to share the rest of his life with me. Hi my name is Sarah, I have HIV. I like being outdoors and swimming. Also I like to take my HIV medications I keep them organized in a special pill organizer with a timer to take them every 12 hours.